When he spoke about some of the worst hate crimes experienced by black people, Chris Rock made sure to let these stars know that our ancestors were "too busy being raped and lynched to care about who won best cinematographer". How did they react to the "grandmother swinging from a tree"? Laughter! As the evening approached for the start of the Oscars, I found myself glued to the television, waiting to see Chris Rock and the Oscars production team address the elephant in the room. Thinking about all the possible ways they could bring light to the lack of diversity in the Oscars, I started thinking that they might possibly start off with clips from movies featuring outstanding black actors and actresses or even something about modern day slavery showing how blacks have been deprived of equal opportunities over the years. I even thought that perhaps they could just have the president of the academy address the issue at the beginning and then move on with the show. To my horror, the issue was used as part of several "comedy acts" instead. While Chris Rock, in his silly mind, thought he was educating his audience about something that has affected his own people for hundreds of years, it probably blew over most of their heads because the room erupted in laughter each time. When he spoke about some of the worst hate crimes experienced by black people, Rock made sure to let these stars know that our ancestors were "too busy being raped and lynched to care about who won best cinematographer". How did they react to the "grandmother swinging from a tree"? Laughter! He also got the room super excited when he pointed out that, "This year in the 'In Memoriam' package, it's just gonna be black people that were shot by the cops on their way to the movies." Results? You guessed it right! Laughter!!! 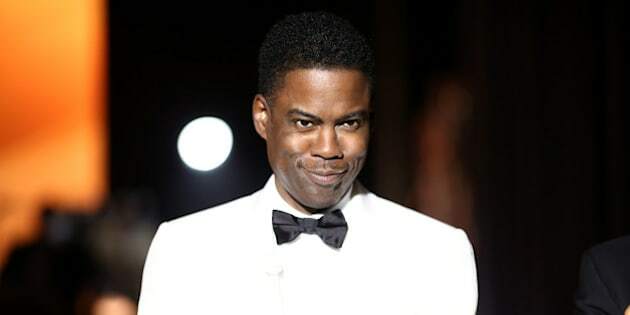 Chris Rock also made sure to 'read' all the people who called on him to boycott the show, asking the question, "How come it's only unemployed people that tell you to quit something?" Well Chris... those unemployed people are part of a race that has been deprived of everything since the day some white men decided to strip your people of anything that would improve their lives and use our black men and women to make themselves rich. With my mixed feelings I decided to go through my Facebook timeline to see what others thought about the show so far. I saw many people applauding Chris Rock for his bold step in addressing the issue of racism and the lack of diversity in his opening. Then there were the confused souls like myself who kept wondering if blacks were actually being made fun of. That's when Stacey Dash was introduced. Yes! STACEY DASH! The same woman who called for the end of Black History Month, BET Awards and everything with a touch of Black! As a black woman who was bullied and laughed at simply because of the colour of my skin, especially as a child, I felt extremely uncomfortable watching all of this play out. It reminded me of the kids at my elementary school who would shout "Blackie! Blackie! Blackie!" while laughing and pointing at me. I knew I was black, but I also knew that I was being mocked and the matter was always trivialized with other students pointing out that I was indeed black. So why did I feel embarrassed every time it happened? That's exactly how I felt watching what I could of the Oscars. There is absolutely nothing funny about blacks being gunned down or lynched or the poor unemployed people who called for Chris Rock to boycott the show. In fact, when I heard those calls I disagreed and encouraged the black community of actors and actresses to support their friends and show the academy that they can be the bigger people despite the obvious.